A jaunt around Beijing's hutongs on any given weekend can provide quite the cognitive stimulus -- interestingly enough, the programming found is actually curated, performed, edited and produced by a diverse group of 老外 (foreigners) living and working in Beijing. Last Saturday, Concrete Flux, a multi-media, multi-disciplinary online journal centered around notions of urbanism, launched their second issue with a brilliantly interactive book-making event. As their online journal is intended to not be read in any linear trajectory, of typical publications, the founders devised a unique way to allow readers the same experience upon reading the printed version. Upon entering the Institute for Provocation, one encountered a plethora of printed pages laying in stacks atop a long, rectangular table. With instructions on how to assemble ones' own publication, readers were able to select not only which articles they wished to include, but also the order in which it was to be read. Participants building journals were then asked to find two partners with whom they would collaboratively design their cover -- with three Chinese ink brushes affixed to a wooden board, the movement of the brushes were forced into a synchronized flow, creating a truly hybrid image, influenced by the collective yet clearly existing as a unique unit, influenced by its respectful owner. Later that evening, musician, performer, curator and 8actagon creative collaborator, Michelle Proskell, organized DuoDuoDuo -- a trio of duo performances at XP. Existing as curated musical experience, audiences witnessed two musicians in an entirely improvised conversation, acting and reacting to produce a collaborative set that moved and grooved the audience. Performing first was Michelle and Michael Cupoli, as "na/mr" -- the dubious bass of Cupoli's hip-hopped synthesizer was complemented by the lyric-less vocal cords of Michelle's own voice. Fully interactive, Michelle moved through a variety of personas as the 30 minute performance progressed. In the most organic of ways, the props of these identities moved from the stage into the hands of the listeners -- the angelic like bubbles blown from a pink, dolphin-shaped machine perfectly juxtaposed the hip-hop-rocker sounds. The bubbles were even utilized to lay dead an arbitrary balloon that had somehow became the sack of a communal hackie game. But through the sounds and props, there was a natural, unspoken bridge that formed between the eclectically gathered audience. Naturally following the human-infused "na/mr" was "Blister Babies", a live duet, of sorts, by Jordan Mitchell on guitar and Steve Roach on drums. Though extremely different in production, and thus in sound, their performance served as a cream layered between cookie ends. The acid infused, funkadelic sounds of the "Ourang-Outang"(s) seemed to transform the audience as if being released from a cage for the first time. Though improvised in theory, the clearly practiced duo brought forth plenty a dancing feet. Outfitted in homemade "Ape of God" apparel and equipped with bananas and Pocari Sweat for all, their persona was as if a tribal Hendrix with a Tang (the classic, orange-powder drink) infused headband played in a hyper-modern, dub-induced dream. Though somewhat excessively formulated identity, their music was unique and groovy to say the least -- as if one of Zimbardo's experiments, the duo utilized the natural sounds of an orangoutang environment (bird chirps, chimp hoots and rustic blowing wind) to create a soundscape that not only stimulated but almost unconsciously, yet knowingly subjected the audience to the rising and falling beats. Pretended to be in line with their animal like essence, their mastery of sound culminating in a short encore left the audience feeling like they were a cruel zoo keeper poking and prodding their caged animal -- nevertheless loving it and wanting but more. Though the causes and effects of dance are rarely critiqued, the organic rise of inter-audience and audience-musician relations during DuoDuoDuo were undoubtedly a byproduct of each acts' profound understanding of not only a basic beat, but more so performance itself. 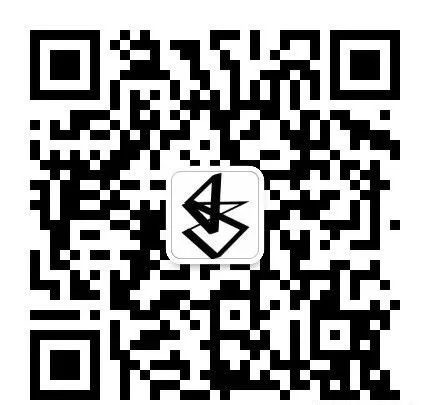 Scan to follow us on WeChat!